Destroyer is Dan Bejar and a touring band of seven musicians. 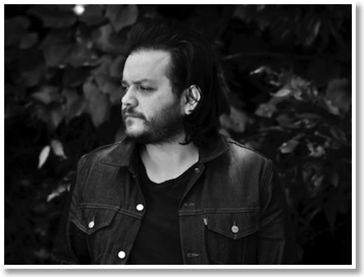 Over 20 years, Bejar and his band have released albums as diverse as Streethawk: A Seduction and Your Blues. 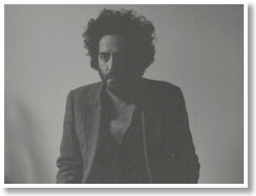 Destroyer’s sound has been a methodical fidget with everything from spare, wiry indie rock to a brand of baroque pop. And a mix of ambient music and jazzy tones. But even when they're playing with glam and glossy yuppie pop and all the rest, Destroyer is one man's mechanism for working through a knot of persistent, nagging musical themes. Bejar's voice in concert is much like what one hears on his records. He does a fine impression of his recorded voice. He projects an air of anxious cool. And fans may note a degree of noise and viscera in the stage performances not found on the studio versions. After he deadpans "we're gonna play one more song," the seven-piece backing group whips up a tornado of sound in the shape of "Dream Lover," a key track on Poison Season. In the studio, it was strident and vibrant. On stage, its explosion into being makes Dan's laconic aside about "one more song" into a wry understatement. The pinnacle of the show's verve and energy comes in "A Savage Night at the Opera," a highlight from 2011's glossy and sophisticated Kaputt. Bejar executes the vocal melody with mounting force and coyness, the band bucking and swaying and building beneath his vocals until they hit an instrumental climax that could very well have swallowed the stage whole, the combined noise of the horns and guitars being too much for melody but more than enough for a catharsis that wasn't there on record. With his broad shoulders and bouncer's frame, Bejar commands the stage even as his gait and expression make him seem abstracted, dreamy, and a bit shy. The combination suits the character of the music. His band consists of two horn players, a keyboardist, two guitarists, a bassist, and a drummer. With the eight of them crammed on stage, there isn’t much room for dancing or movement. Almost all of the songs come from Kaputt or Poison Season, the two Destroyer albums that best accommodate a horn section, with brief readings from the masterful Destroyer's Rubies. Fans will be disappointed to learn that when the band played "Rubies" as an encore, they snipped out the closing acoustic section, superb lyrics and all. It would have been interesting to hear Dan sing "come on honey, let's go outside, you disrupt the world's disorder just by virtue of your grace" live, but one might suppose that Dan didn't want to leave most of the band with nothing to do during the show's final moments. In other words, Destroyer on stage seems to give one everything they enjoy about Destroyer on record, but with more energy, vigor, and beautiful screeching noise. Stubb’s outdoor stage filled to the brim with reggae fans, excited to see Iration. 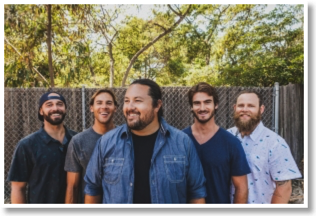 As the sun sank behind the stage, many mingled, and talked about the last time they saw Iration in concert. The crowd erupted into whoops and yells when Iration took the stage. They wore t-shirts hailing from their home in Hawaii, and gave a special shout out to all the Hawaiians that were able to make it to the show. The set began with a series of mellow songs, and the crowed swayed with smiles on their faces. When Iration began playing their hit, “Let Me Inside,” most of the audience danced and sang along. The band moved to their mellower and more recent song, “Back Around.” Some people in the crowd shouted out the words, while others bobbed their heads to the beat. Afterward, Iration broke out with “Summer Nights.” The crowd was ignited, and all seemed to be dancing together. As the concert came to a close, Iration made it a night to remember with great instrumental solos. The group made the show a rare treat for many because the group radiates honesty and sincerity with music that is filled with a lot of love. The show was sold out, and the small stage had a single acoustic guitar: a black stool with water and a glass of Jameson. A red velvet curtain and, bluish-white light adorned the empty stage. And a soft murmur filled the air from the crowd as they waited for the intimate Americana music of David Ramirez. Dave Geracci, a fan in the audience who proposed to his fiancé Zoey to Ramirez’s “I Think I Like You,” noted the raw intensity of Ramirez’s voice and the honesty of his lyrics as fundamental factors that separated Ramirez from other artists. As noted by many of his fans in the audience. It was Ramirez’s voice that soared with a brawn that captivated all who were in attendance. From older songs from his 2012 album Apologies, such as moving solo performances of “Goodbye,” and “An Introduction,” to deeper, older cuts from his 2009 album American Soil “Good To Be Bad,” Ramirez’s thematic exploration of reveling in life’s more decadent vices while aspiring to rise above them through virtuous love enveloped Ramirez’s performance in enthralling candor. On stage, Ramirez, who was dressed in a blue plaid shirt, black jeans and light brown boots, went from a somber, downcast croon to a vigorous, whiskey-soaked husk that seemed to channel Leonard Cohen’s ardent baritone.